Summer days are SO hot. 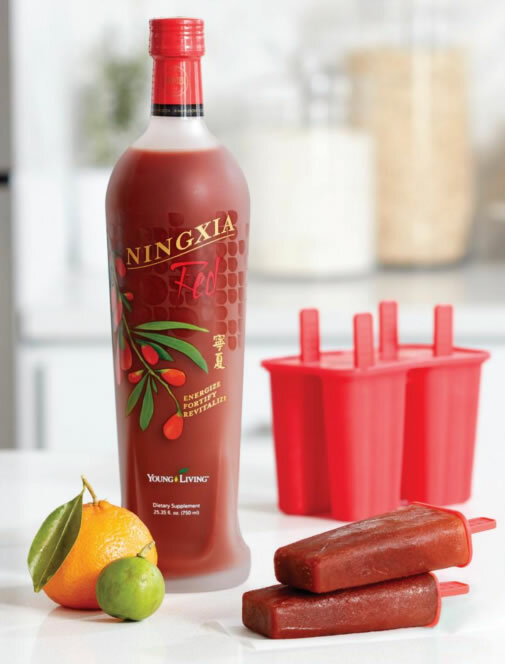 What better way to cool down after a day of working or playing in the sun and heat than a delicious frozen popsicle? 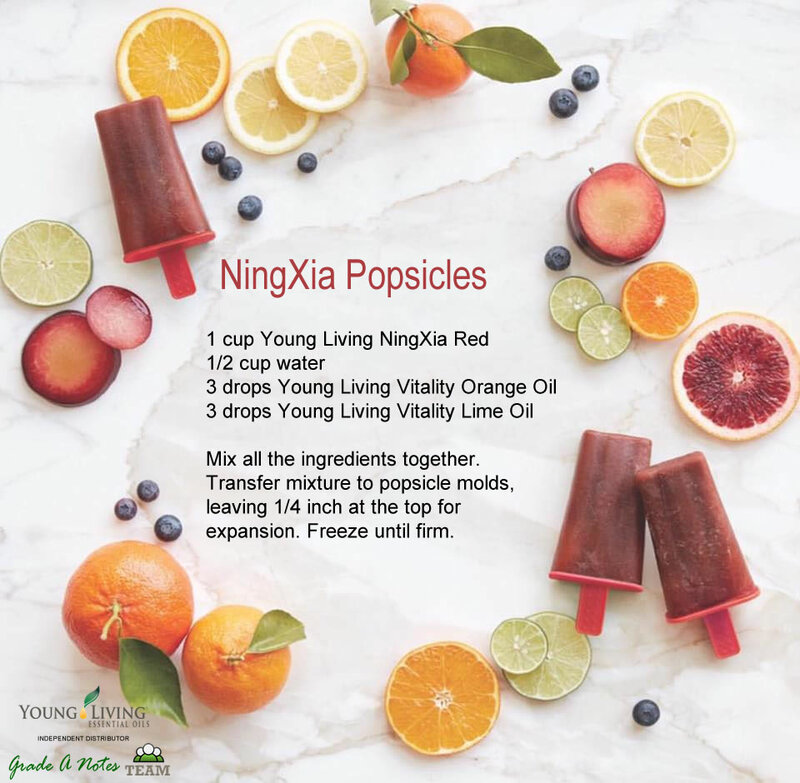 Why not try some healthier popsicle recipes that your family will love. Mix all the ingredients together. Transfer mixture to popsicle molds, leaving 1/4 inch at the top for expansion. Freeze until firm. Mix all the ingredients together. Transfer mixture to popsicle molds and freeze until firm. Combine the pineapple, lemon juice, water, honey, and grated ginger in a blender. Blend on high until smooth. Stir in Ginger Vitality oil and Lemon Vitality oil. Transfer mixture to popsicle molds and freeze until firm. Place all ingredients in the blender and process on high speed about 60 seconds, until completely blended. Taste, and adjust sweetening if needed. Transfer mixture to popsicle molds and freeze until firm. Don’t have any popsicle molds? You can use any kind of small cup to mold the popsicles. When the mixture is halfway frozen, insert a popsicle stick. To unmold popsicles, dip the frozen molds in a warm bowl of water until the popsicles are easily removed. These sugar free, low carb coconut cream filled candies are so tasty you would never know they were really healthy. They are made with a touch of Young Living Orange, Tangerine and Peppermint Vitality Essential Oils. 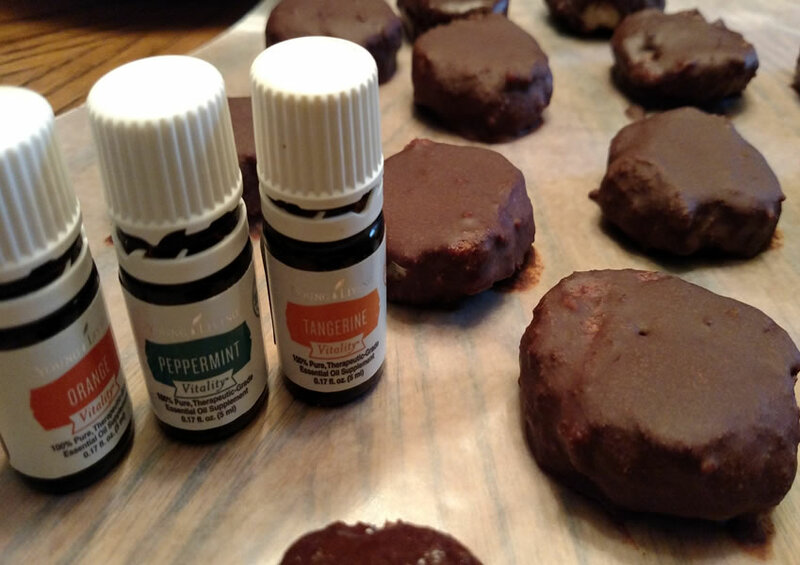 My favorite are the ones flavored with Orange essential oil. Peppermint is a close second. So yummy and guilt free low carb, sugar free snacking. Several drops Young Living Vitality Essential Oils: Orange, Tangerine, Lemon, Lime, Peppermint or other. In a large bowl, stir together cream cheese, sweetener, and vanilla extract. Mix in the shredded coconut. Using about one tablespoon of coconut mixture each, form into a log and set onto a parchment paper or silicon mat lined baking sheet. 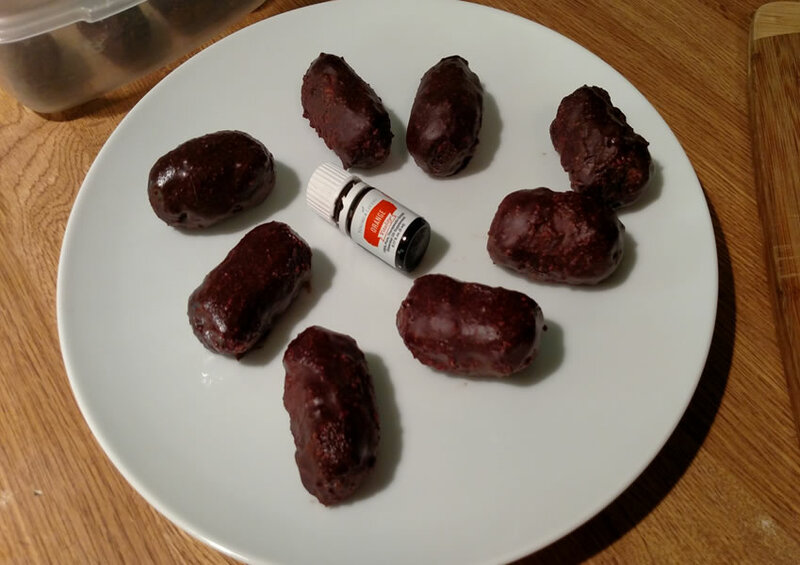 Put bars into freezer while making chocolate coating. In a double boiler, melt cocoa butter. Once the cocoa butter is melted, remove from heat and stir in cocoa powder mixture. Add vanilla extract. Mix well until smooth. Remove the coconut bars from the freezer. Place each coconut bar on a fork and dip bottom into melted chocolate. Then use a spoon to drizzle chocolate over top and sides until bar is completely covered in chocolate. Let excess chocolate drip off bottom of fork, then set on non-stick sheet to harden. Repeat steps until each bar is covered in chocolate. Place finished sheets of candy in refrigerator. Let sit at least an hour then remove and place in covered container. Store in refrigerator. Update: I decided to roll the filling into 2 logs and slice after letting them sit in the fridge. I wanted to make the disk shapes you see in the picture below. Place all ingredients in a food processor except for the cacao nibs and hemp seeds. Process until completely broken down into small pieces. Add the cacao nibs and hemp seeds into the process. The cacao nibs should break down to about half their size. The hemp seeds should be visible. 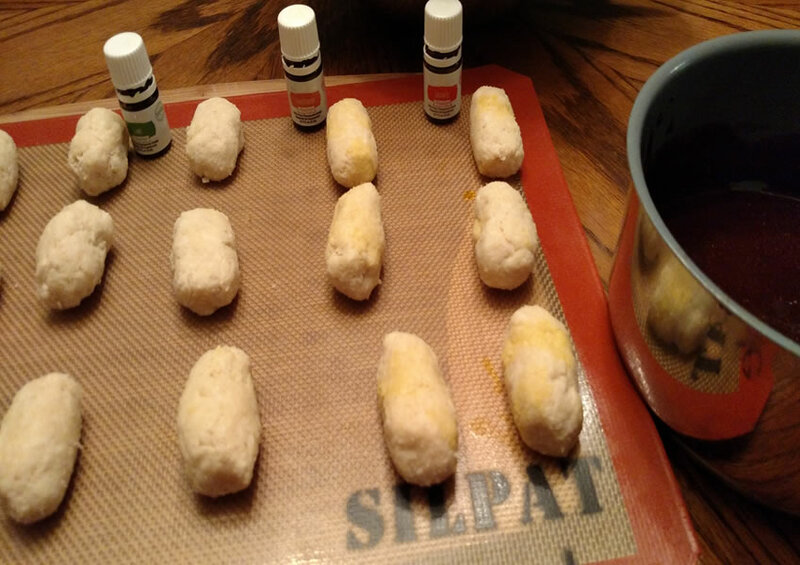 Form into bite-sized balls with a small ice cream scoop, place on a baking sheet, and refrigerate until firm. This recipe was originally featured in the January 2014 issue of the Essential Edge News. Using an electric mixer, cream together butter and sweetener. Add eggs, vanilla extract and mix until combined. With the mixer running on low, slowly add baking powder, salt, einkorn and almond flour, beating well after each addition. Cover and chill dough for 1 hour. Preheat oven to 350. Line baking sheet with parchment paper. Scoop heaping tablespoons of dough into balls and place on baking sheet; flatten dough balls to form discs covering with plastic wrap and lightly pressing. Space cookies 2 inches apart. Bake the cookies for 15-18 minutes or until lightly golden. Let cool on baking sheet for 5 minutes and then transfer to wire rack. Whisk together all frosting ingredients until smooth. Whisk in additional sweetener as necessary. 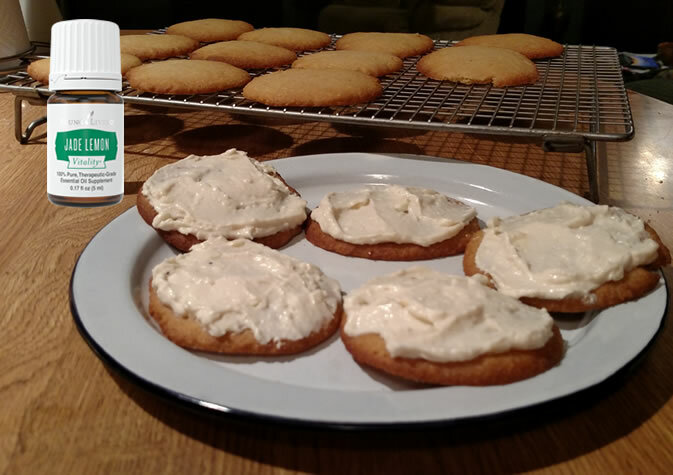 When cookies are completely cool, spread frosting onto cookies using butter knife. Place almonds in a food processor; process until finely ground. Add dates, process until finely ground. Mix remaining ingredients until it forms up like a ball. Remove the knife blades from the food processor. Press out on a sheet of wax or parchment paper into a long rectangle. With a knife divide in half, then cut into squares. Place the squares in the fridge for about an hour. Roll the squares with your hands forming into small round truffles. 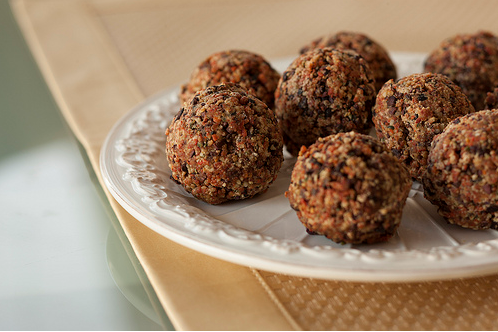 Roll the truffles in cocoa powder, finely chopped almonds, shredded coconut or rolled oats. Place in the fridge for 20 minutes before serving. If you’d like a bigger boost of protein, feel free to add a scoop of Pure Protein Complete or your favorite protein powder (preferably chocolate flavored), to the mix.